Students will soon see free menstrual products in some of the women’s and gender-neutral bathrooms on campus. By next week, tampons, pads, and liners will be available in the Bush Science Center, Campus Center, and Olin Library. The Student Government Association (SGA) teamed up with the Lucy Cross Center to provide this service. The Lucy Cross Center previously offered free menstrual products in Chase Hall bathrooms; however, in anticipation of the demolition of Chase, the Center and SGA decided to expand the program. Two Lucy Cross work study students, Carla Daza (‘20), SGA Diversity and Inclusion chair, and Gabbie Buendia (‘19), a lead coordinator with the Rollins Sustainability Program, are directly involved in this process of introducing free menstrual products on campus. They helped research organic menstrual products for the program. “Lucy Cross did not have the budget or capacity to scale this initiative up in the past. It is nice to see there is a student demand for it coming from SGA,” said Buendia. SGA President Nagina Chaudhry (’19) and Vice President Greg Taicher (’19) adopted the initiative as part of their political platform at the beginning of the year. “It was something brought to our attention. We had the ability to do something, and we wanted to point it out,” Taicher said. “In terms of the companies we intend to use, we’re partnering with the Wellness Center to use the same supplier that they use for Health Services. This provides a major discount for the products,” said Abby Hollern, director of the Center for Inclusion & Campus Involvement. The companies providing the products were carefully vetted by SGA and the Lucy Cross. 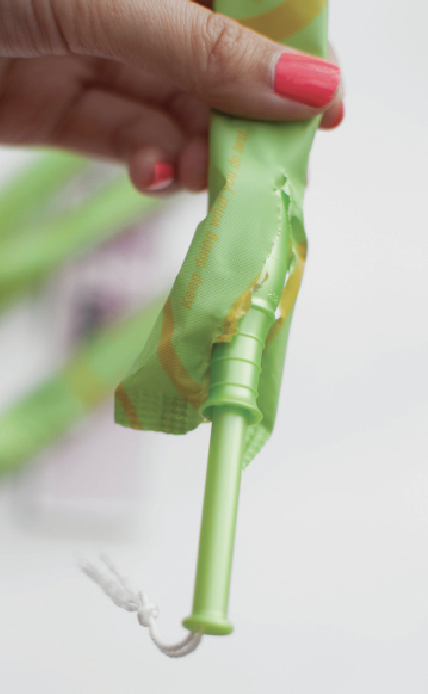 Menstrual pads will come from Seventh Generation, while tampons and liners will come from Veeda. Buendia pointed out that both of these companies use organic cotton and are free from several other chemicals that are dangerous to product users and to environmental health. The first few weeks of the initiative will serve as a trial run for women’s and gender-neutral bathrooms, after which SGA hopes to expand the products into men’s bathrooms. However, some students are skeptical of this plan, claiming that, while SGA is trying to be gender-inclusive, they are also promoting gender norms by only starting with select women’s and gender-neutral bathrooms. SGA emphasized that if there is a demand to expand the initiative into men’s bathrooms, then it will happen. Once the initiative officially gets underway, SGA will put out a suggestion box for students so that, if they so desire, they can request for more products in all bathrooms. Chaudhry thought that, once the trial turns into a full-scale initiative, it will elevate Rollins as a distinct, inclusive, and safe campus. “In terms of looking at higher educational institutions, I would love for Rollins to be the first to spearhead it. These are necessities, not luxuries. It would put us on the map,” Chaudhry said. While the trial runs, SGA representatives and Lucy Cross Center volunteers will check the supply once a week. The College is also keeping gender inclusivity in mind when planning the new residence hall’s bathroom layout. Each dorm will have a personal bathroom layout rather than a community one.